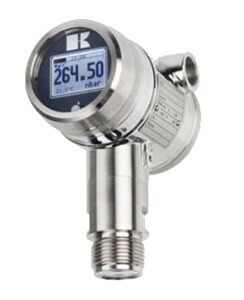 The series 4000 is a complete line of high-end Intelligent pressure and level transmitters with a Stainless steel electronics housing. The calibration / programming can be done very easy without testpressure by using the Unique One Touch programming button together with the Graphic display with backlight. The graphic display can indicate a number of chosen engineering units including the process temperature and the actual value in a bargraph. Damping times can be adjusted and a 4-20 mA current simulation can be performed. Various tankshapes for different tank linearisations are available. The series 4000 is fully temperature compensated and over 40 different process connections with flush diaphragm are available. Options include HART® protocol and ATEX Ex ia approval (pending).